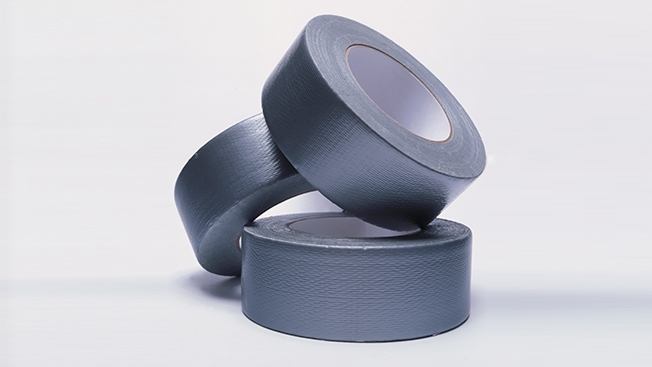 Duct tape is known for its versatility and strength, and it can be used to fix almost anything. 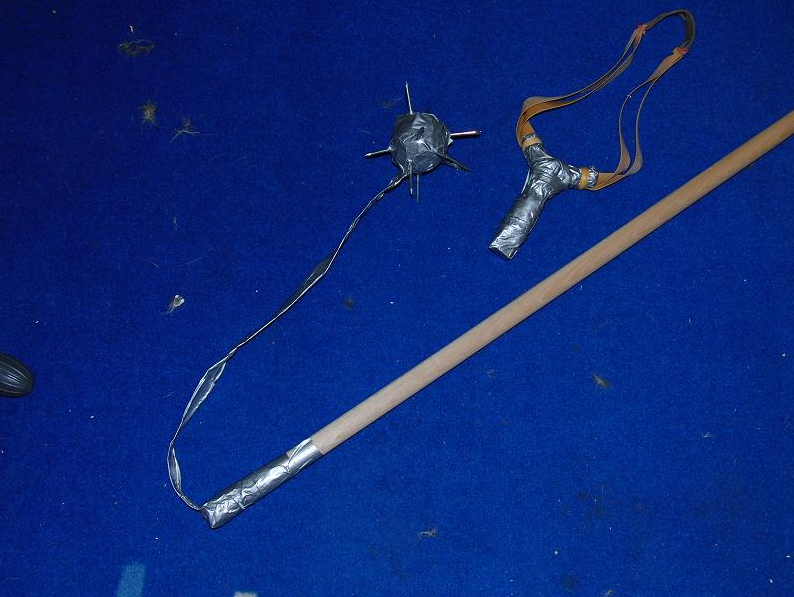 However, it can also be used to fashion a couple of very effective improvised weapons when other resources are not available. One of the most effective defensive and hunting weapons is a slingshot. They are very easy to use and incredibly powerful. 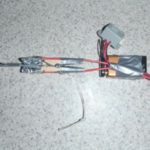 You can make one from scratch with little more than some pencils and duct tape, and it will rival professionally designed models every time. You will need eight pencils that haven’t been sharpened, some duct tape and the slingshot band. Take four of the pencils in your hand and place a piece a couple of pieces of tape around them. This will the handle of your slingshot. Take the other pencils and cut them in half, separating them into two piles. Bundle each pile together and tape them as well. These will be the arms for the slingshot once the process is complete. The hardest part of this process will be to set the arms against the base in order to form the “Y” shape of the slingshot. This is why it is good to have the handle taped a little bit first, in order to hold it in place as you attach the other pieces. 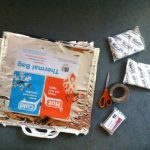 The easiest thing to do is to take a couple of strips of tape and lay them, sticky side up, next to each other on a table or workbench. Lay the handle in the center and then lay down each arm on the tape so that everything touches. 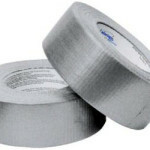 Carefully wrap the tape around the arms and handle, creating a loose-fitting connection. 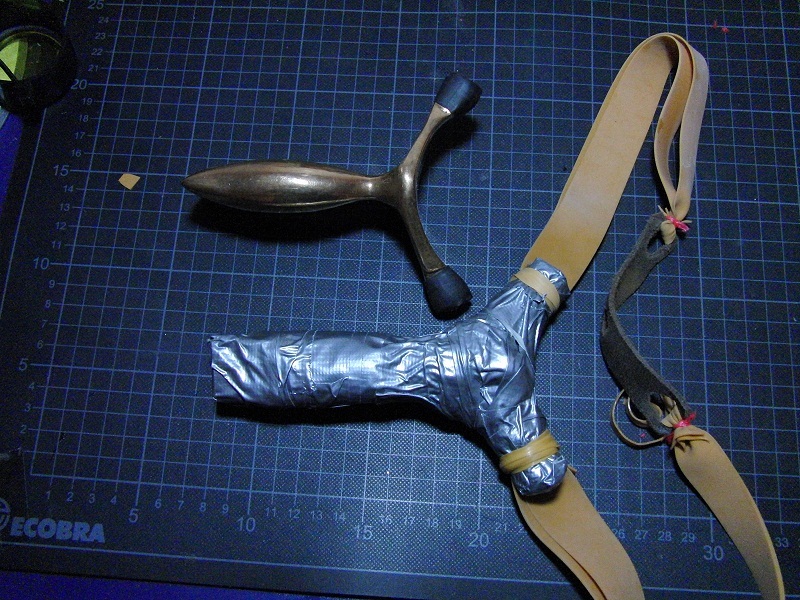 Continue to take strips of tape to reinforce the connection until the slingshot holds its shape when you hold it in your hand. Begin to wrap tape from the bottom of the handle upwards until it reaches the arms. Then, wrap tape from the end of the arms inward until you can connect it to the main body. Keep repeating this until the entire slingshot is covered in tape, and you can continue to add layers for added strength and stability. Finally, tie on the band and tape that securely as well. Test fire the slingshot to make sure all of the pieces remain joined together as one unit and make adjustments as necessary. Wash a medium sized potato and pat dry. Take some long nails and stab them through the potato until their heads rest against the skin. You can criss-cross about eight to ten long nails into the potato, creating a spiky ball. Once the skin is dry, carefully take strips of duct tape and wrap them around the potato at the base of the nails until the entire surface, except for the nails are covered. 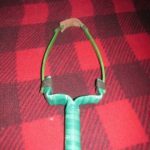 You can take some thick string and tie it around the potato between some of the nails and attach it to a wooden handle and create a powerful, yet effective weapon. You can also attach a chain to the potato for the same effect. Some people also fashion a handle-strap out of layers of duct tape as well and then connect that to the potato. However, it is very easy for the tape to tear when the weapon is in use, and this option should only be used as a last resort. Now, all you need to do is practice and work on your aim. Try to fire the slingshot or swing the potato at a piece of melon and see what happens. You will be amazed at the amount of power that these simple tools can produce.